Higher MOI for greater off-center hit performance from a slightly longer heel to toe profile combined with an increased side and back wall thickness. 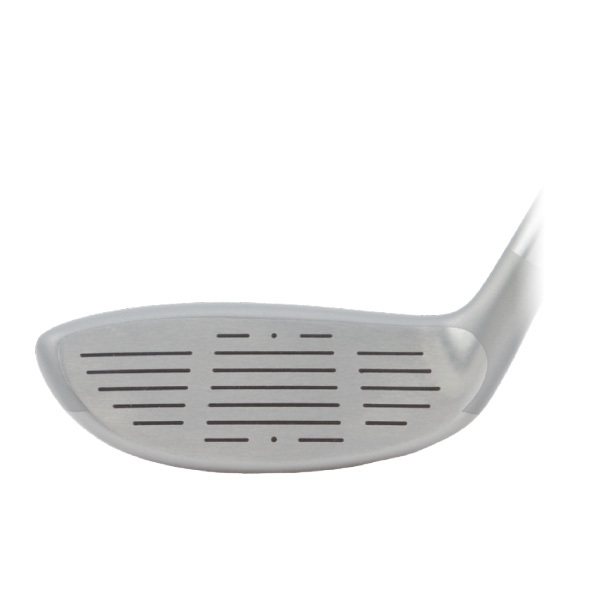 Split-level sole design ensures enough sole width to keep the CG low and back from the face to increase launch angle, but the narrow split-sole surface reduces the sole to ground contact to allow more solid contact from the rough and to allow players to “knock the ball down”. Designed to be built to iron lengths. Twin weight bores in each head allows a wide range of swingweight, length and shaft weight options in fitting for golfers. 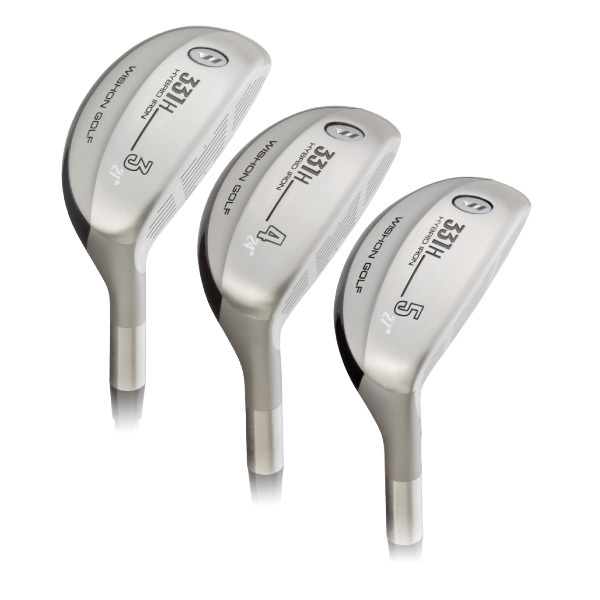 Same hosel to leading edge design as an iron to blend in more smoothly with the typical low offset of any conventional iron design. Increased hosel length to allow for slightly easier lie bending adjustments. 0.335″ bore diameter to match with TWGT’s superb light and tour weight hybrid shafts – thousands of golfers have learned the secret to TWGT’s superior high launch hybrid performance are the unique TWGT designed S2S White and S2S Gold Tour hybrid shafts, available in both 72g Light Weight and 95g Tour Weight versions. 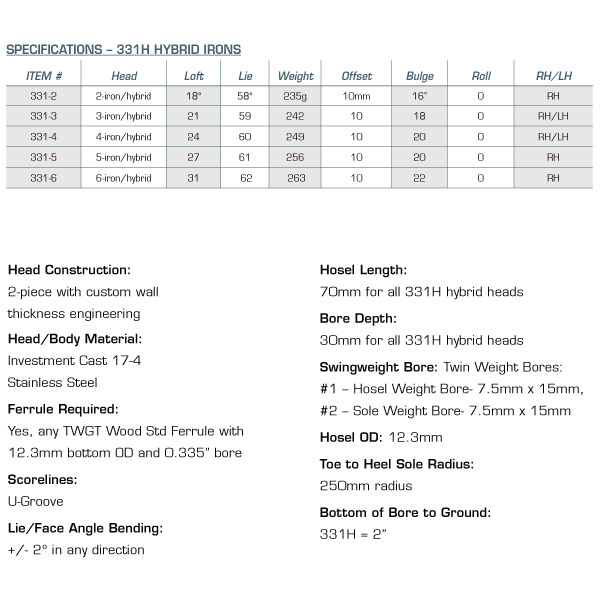 331H hybrid irons available in RH in #2, 3, 4, 5, 6 and in LH in #3, 4. 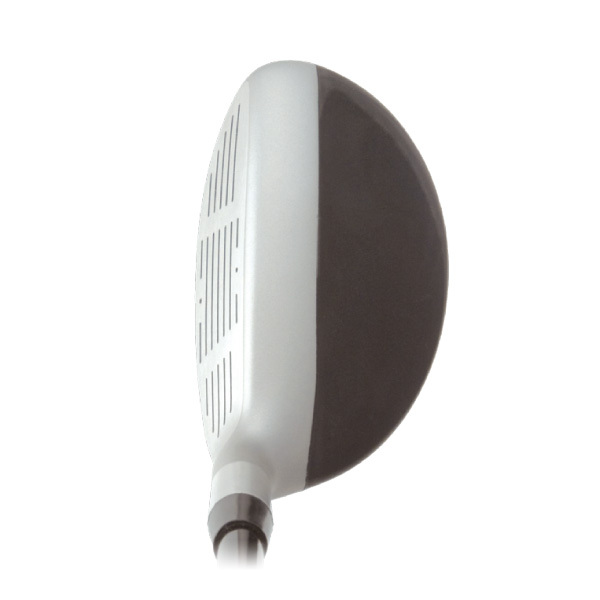 A 360º view of the 331H Clubhead. Was devastated to hear that the 331H Hybrid range was discontinued. I have the #4 hybrid iron and it’s rhe best club in my bag. Bought it in 2014 and decided to get the rest but unfortunately I couldn’t. Tried the other types of hybrid but it just doesn’t have the same look and feel at address and I’m not very confident at choosing it whilst playing a round. Is there any club fitters anywhere in the world that could possibly still have these clubs lying around somewhere that I could purchase? My clubfitter here in Scotland has tried so hard to find then also but impossible to do so.